Each of our graduates is also eligible to use our nationwide job placement assistance program. We currently have 34 campuses of our own and have contracted with 50 additional campuses to mutually help each others graduates. 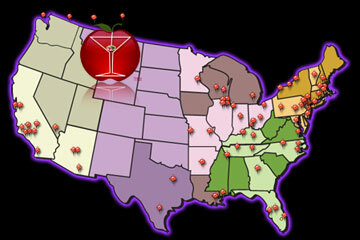 With 34 campuses, we are the nation's largest group of independently-owned bartending schools. We have signed, written contracts for placement services at these additional campuses and monitor them for their results. We feel we have the best schools for placement in the industry.